I have another fabulous giveaway from the lovely people at Degustabox – a surprise festive Degustabox. I was sent the October box to try and it contains a lovely mix of sweet and savoury treats. There is a selected list of products for each month published on the website but not everyone receives the same combination. Here’s what was in mine. This is not the festive box – the contents will be a surprise! There were 11 products from October’s selection and 2 which Degustabox call their “Db’s Discoveries”. 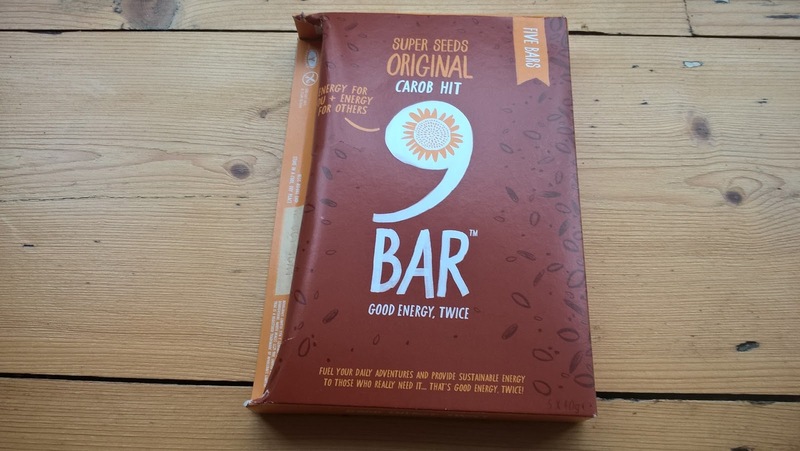 9BAR Original Carob Hit is a delicious, natural source of good energy for people who lead active lives. The bars are packed with naturally nutritious sunflower, pumpkin, sesame and hemp seeds with a smooth carob topping. 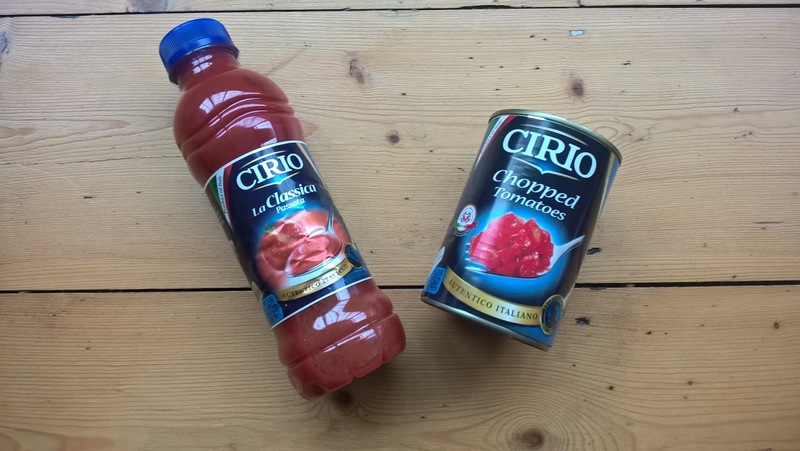 These are really useful, given the volume of pasta we get through in this house – Cirio La Classica Passata and Cirio Chopped Tomatoes. Great to have as storecupboard staples, we make sure we have a stockpile to hand! 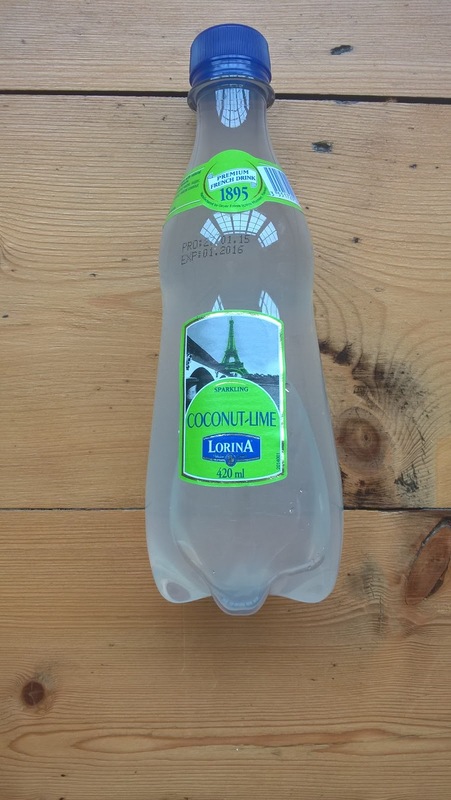 There was a bottle of Lorena Premium French Lemonade in Coconut-Lime flavour. Lorina has been making lemonade since 1895 and use 100% natural ingredients with no artificial colours, flavours or preservatives. It comes in a range of flavours and this one, Coconut & Lime would taste delicious with a splash of rum. 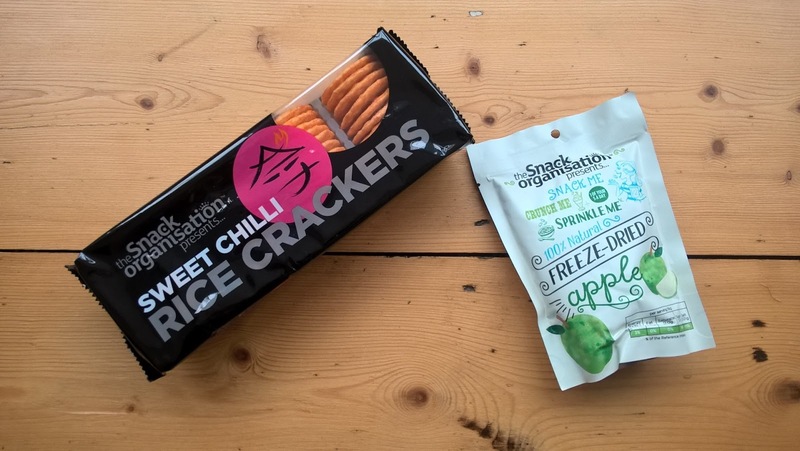 These are two products from The Snack Organisation. We have rice crackers, which come in Lightly Salted, Sweet Chilli and Teriyaki flavours which are baked, not fried and are gluten free. The second product is Freeze Dried Fruit which comes in Strawberry, Apricot, Apple and Pineapple. Freeze drying preserves the fruits nutrition without any unhealthy oils. The fruit can be snacked, crunched and sprinkled and, again, a gluten free and suitable for vegetarians. 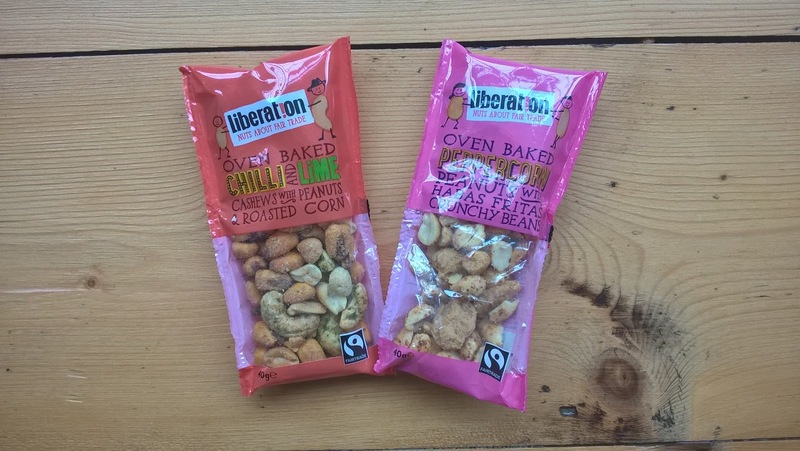 These nuts are from Liberation Foods, owned by small-scale nut farmer co-ops in Africa, India and Latin America, Liberation’s mission as a Fair Trade nut company is to bring producers and consumers together so that everyone gets a better deal. Flavours include Fairtrade Oven Baked Salted Cashews & Peanuts, Fairtrade Oven Baked Chilli & Lime Cashews with Peanuts and Roasted Corn and Oven Baked Mixed Peppercorn Peanuts with Cashews & Habas Fritas. 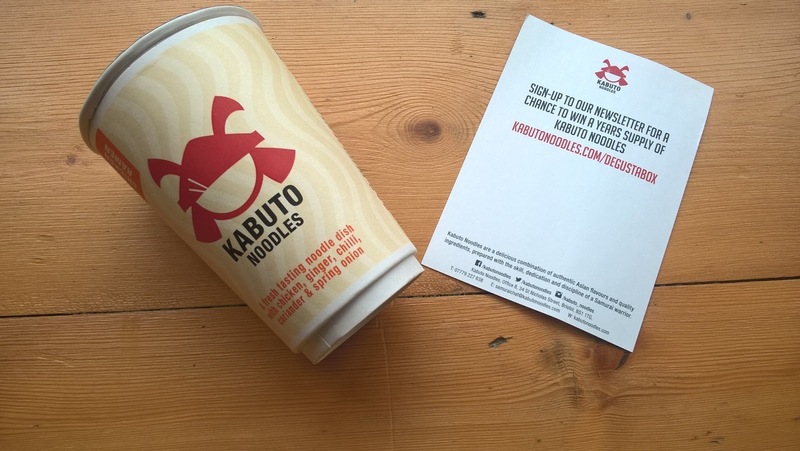 Kabuto Noodles are a fresh tasting noodle dish with coconut, chicken, chilli and coriander, inspired by the warm coconut laksa dishes of Malaysia. There are no additives or preservatives and to eat you simply top up with boiling water. 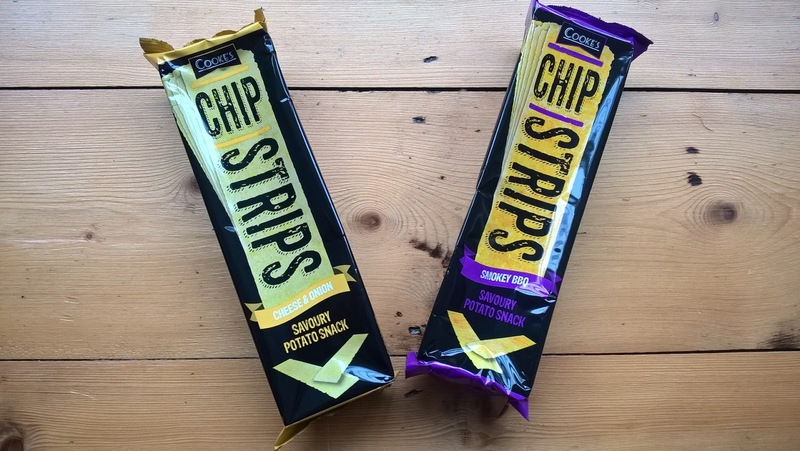 There was also Chipstrips savoury potato snacks and a voucher for £2.00 for President Unsalted Butter. 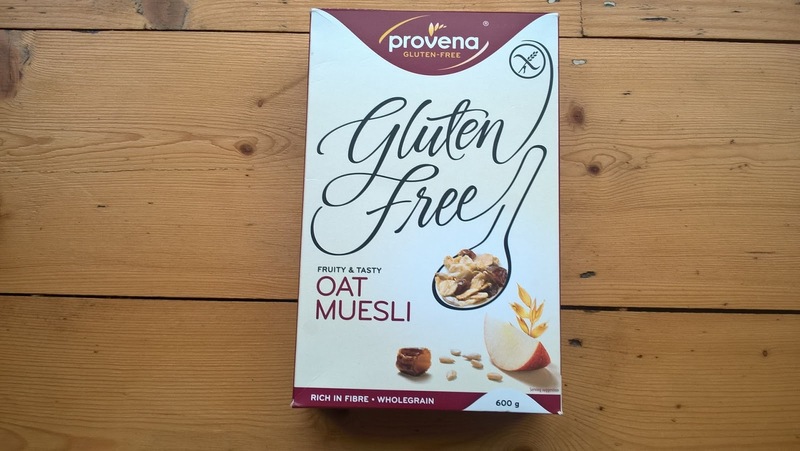 The 2 “DB’s Discoveries” this month were Provena Gluten Free Oat Muesli, suitable for those suffering from gluten intolerance and Coeliacs, and Appy Drinks, award winning juices which contain 50% less sugar and calories than regular fruit juice, making them a better choice for children than some juices. The total retail value of the box is £22.00, good value given the cost of the box was £12.99. 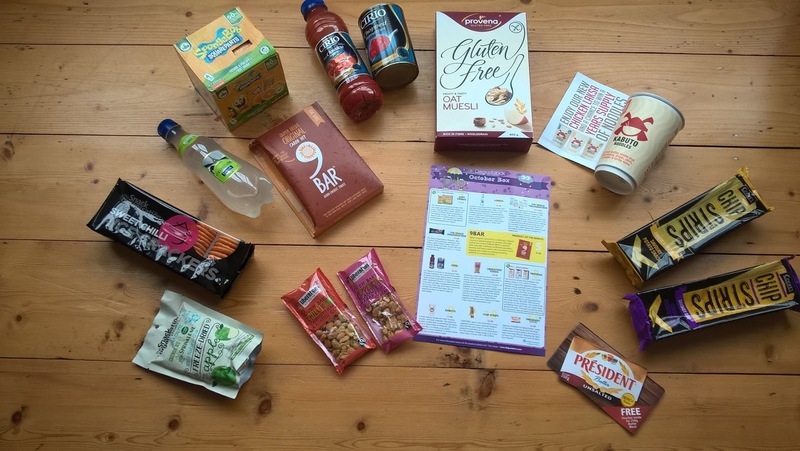 If you like the excitement of a monthly present and enjoy trying out new brands, I think Degustabox is a great scheme. I’d place it firmly in the ‘treat’ category but the price is low enough to make it attractive. Currently, if the four of us go for a coffee and a bun, for example, we usually end up paying around the £15 mark. (Yes I know, find the thermos!). A Degustabox subscription would also make a great gift. You can cancel at any time, as long as you give them sufficient notice to stop next month’s box. I have a festive December Degustabox to give away to one lucky winner and no, I can’t tell you the contents because it will be a surprise. Simply enter via the Rafflecopter below. Sorry, but Mainland UK entrants only. The giveaway will end at 11:59 pm on Sunday 15th November 2015. Reminder: all entrants need to be resident in mainland UK (excluding Northern Ireland and Scottish Highlands and Islands) and over 18. In order to receive your box in time for Christmas, Degustabox will need the name and address of the winner no later than 20th November. Have you entered my other competitions? Just click HERE. "New In Fashion & Accessory Treats"
"Fantastic Weekend Break Ideas For You & The Kids"